Canine dental problems include such periodontal disease as gingivitis and periodontitis. Dogs with dental problems commonly show symptoms such as bad breath, excessive drooling, loss of appetite, and more. 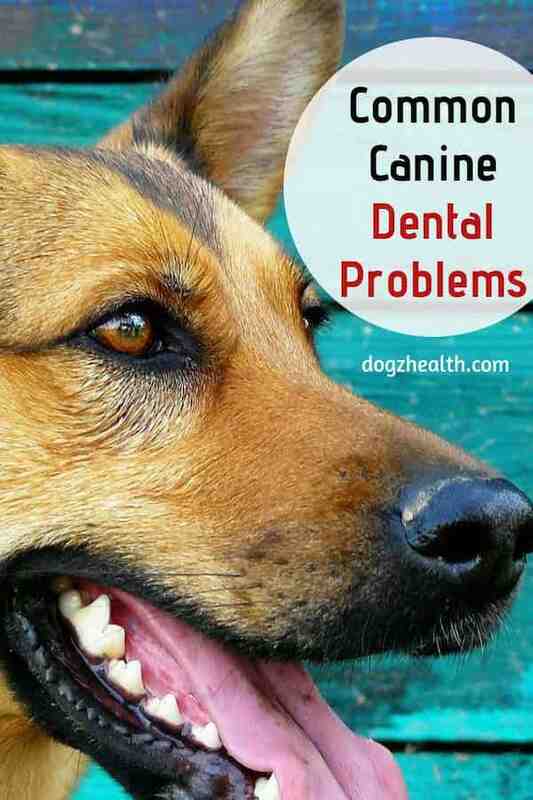 Dental problems in dogs are common canine health problems. In fact, a lot of the most serious health problems in dogs are related to their gums and teeth. As dog parents, we need to take good care of our dog’s teeth by regular brushing. We should also check our dog’s mouth regularly for early signs of dental problems. Our dogs will also give out tell-tale signs when there is something wrong with their mouth or teeth. Dogs usually eat heartily, but if they have pain in their mouth, they eat slowly and sometimes drop food that is too large or difficult to chew. They may also chew on only one side of the mouth. 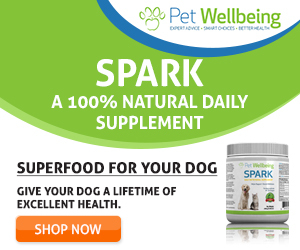 If the pain in the mouth is too severe, the dog will show less interest in eating and may even stop eating altogether. Drooling is a sign of pain. If your dog suddenly drools a lot, be sure to check inside his mouth for possible dental problems. You will also notice other signs indicating that the dog is in pain, such as pawing at the mouth, lethargy, and reluctance to play or move. The most common causes of bad breath in dogs are periodontal diseases such as gingivitis and periodontitis. If your dog has bad breath and is drooling excessively, there is a high chance that he is suffering from some form of dental problems. A dog with periodontal disease has gums that have turned red. That is the result of inflammation of the gums – there is an increase in blood supply and an influx of white blood cells to fight infection. Dogs with dental problems bleed easily (sometimes even when eating) because inflammation can weaken the walls of the blood vessels. Canine dental problems can cause swellings which can occur in the mouth itself – check the gums around the edges of the teeth and higher up and deep under the lips. Swellings can also occur on the face just below the eye. Sometimes these can be linked to tooth root abscesses. Now that we know the signs and symptoms of possible dental problems in dogs, let’s take a look at some common dental problems that affect dogs. Common canine dental problems include tartar build-up, and more seriously, periodontal disease. Canine periodontal disease starts out as gingivitis, which is an inflammation of the gums. If left untreated, gingivitis can develop into periodontitis, which is an inflammation of the deeper structures supporting the teeth. If left untreated, gingivitis can develop into periodontitis, which is an inflammation of the deeper structures supporting the teeth. Tartar (dental calculus) is composed of calcium salts, food particles, bacteria, and other organic material. It is yellow-brown and, at its early stage, it is soft and is called “plaque”. Once plaque hardens, it becomes tartar. Tartar can develop on the surface of all teeth, but is most commonly found on the cheek side of the upper premolars and molars. 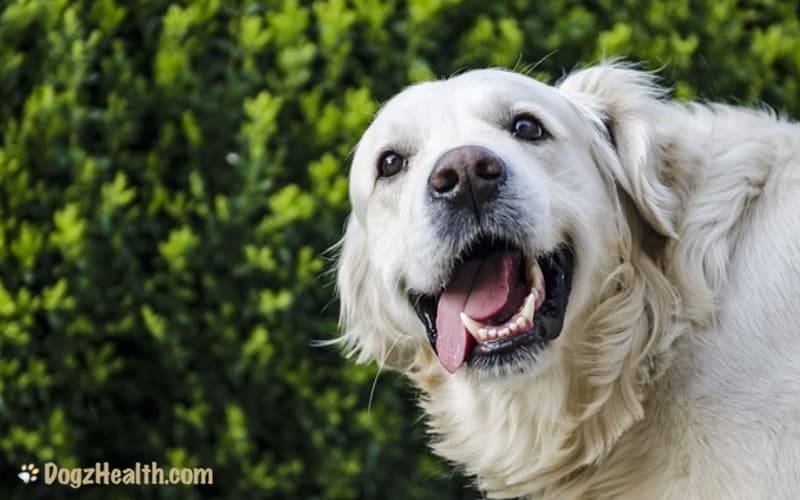 Tartar build-up occurs to some extent on the teeth of all dogs over two years of age. Small dogs and certain breeds (e.g. Poodles) tend to be more prone to tartar build-up. If tartar is not removed from the teeth, gingivitis will result. Canine gingivitis is caused by tartar build-up along the gum line, producing points where the gum is forced away from the teeth. As a result, small “pockets” are formed between the gums and the teeth trapping food and bacteria. Over time, this causes inflammation and infection of the gums. One sign of gingivitis is bad breath. If you look at the dog’s gums, you will find them swollen and red, and they bleed easily even if you just press on them gently. Sometimes, pus will also ooze from the gum line when pressed. If your dog has gingivitis, take him to the vet immediately to prevent it from developing into periodontitis, which is more serious and irreversible. Your dog may be put under general anesthesia so as to get the tartar and plaque removed. After that, you need to give your dog regular oral care at home to prevent further tartar build-up. As gingivitis progresses, some of the damage becomes irreversible. Periodontitis is a continuation of gingivitis. The gum infection progressively attacks the supporting structures to the tooth, such as the fibers of the periodontal ligament, the actual bone supporting the tooth, and the bone socket. The result? The affected tooth or teeth will begin to loosen and eventually decay. Periodontitis is extremely painful, causing the dog to stop eating or drop food from his mouth. Excessive drooling is common. A root abscess resulting from periodontitis can rupture into the nasal cavity, causing swelling below the eye, and a pus-like nasal discharge from one nostril. A dog with periodontitis should have his teeth professionally cleaned (as in gingivitis). If the disease is in its advanced stage, some or all of the teeth need to be extracted. A portion of the infected gum may need to be removed. Antibiotics are given for the infection for one to three weeks. Aftercare at home is also necessary for the gums to heal. It usually involves rinsing the mouth with 0.2 percent chlorhexidine solution once or twice daily. A plastic needle-less syringe can be used to squirt the solution directly onto the teeth and gums. This is followed by massaging the gums in a gentle circular motion. A soft gauze pad wrapped around the finger can do the job. While the gums and teeth are healing, feed soft food to the dog, such as canned food mixed with water. Canine dental problems can not only cause a lot of pain to our dogs, dental treatment is usually very expensive for dog parents! More importantly, dog dental problems do not limit to the damage of the dog’s teeth and gums. Dental problems in dogs can also have adverse systemic (whole body) effects, causing problems to major organs, such as the lungs, heart, and kidneys. In view of the above, it is extremely important for us dog parents to do all we can to give the best dental care to our dogs.